Betting and gambling websites represent a popular pastime for people across the globe. Aside from being fun, some users actually create a steady stream of income from winning on these sites. Of course, there are many potential downsides to betting and such services should be used responsibly. Unfortunately, many betting sites are geo-locked and accounts cannot be created or accessed from within certain countries or states. For example, Canadian-based Bovada won’t accept players from several states, including New York and Nevada. And the UK’s Betfair won’t accept bets from Canadians. What’s more, many sites are blocked in certain countries because they do not comply with some restrictions such as those based on religious beliefs. If you travel somewhere where you can’t get access, you may be frustrated when you can’t place your bets! ExpressVPN The one to beat and our #1 choice in terms of security and speedy servers. Easy to set up and use apps for all devices. Includes 30-day money back guarantee. NordVPN Look no further for a good all-round budget choice. Fast servers and top notch security. CyberGhost Affordable service that won’t let you down for speed and security. IPVanish Fast and reliable service with good secure servers and apps. PrivateVPN Up-and-coming service with impressive speeds, good privacy and security features. We cover how to access specific betting websites, Bet365 and Betfair, in dedicated articles. 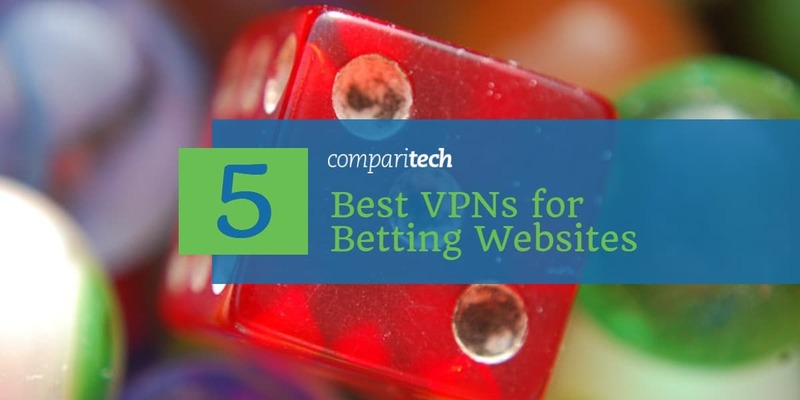 In this piece, we’ll cover the best VPNs for accessing betting websites abroad in general. Disclaimer: Some countries have completely banned online gambling while others don’t have specific legislation regarding the issue. We do not encourage or condone illegal online gambling, or the use of a VPN to spoof geographic locations for the purpose of breaking local laws. It’s important to do your research and investigate the laws within your country and state before using a VPN to access betting or gambling websites. ExpressVPN first and foremost offers top-notch security. Based in the British Virgin Islands, this provider is far away from the reaches of mass government surveillance found in many parts of North America and Europe. It boasts strong 256-bit AES encryption with perfect forward secrecy. A kill switch and DNS protection ensure that your real IP is even more secure. Plus, this provider offers a true no-logs policy and you don’t even need to hand over any Personally Identifiable Information (PII) to sign up. This means you’ll be able to enjoy betting websites without worrying about any monitoring or tracking whatsoever. When it comes to service, ExpressVPN has a substantial network of over 1,500 servers in 94 countries, so you’ll have plenty of choices. What’s more, it pegs fast speeds and offers a reliable, uninterrupted connection, so you never have to worry about missing the betting cutoff. If you need to learn more about the service or get some help with setup or troubleshooting, the ExpressVPN customer support team offers highly competent support via live chat or email. This provider is a great all-rounder and will give you access to streaming sites like Netflix and Hulu. BEST VPN FOR GAMBLING SITES ABROAD:ExpressVPN is our #1 Choice. Optimized for high-speed connections. Scores high above its rivals for unblocking geographic internet restrictions. Hard to beat on privacy and security. There is a 30-day no-quibbles money-back guarantee so you can try it risk-free. Panama-based NordVPN is another solid option and has a heavy focus on privacy. It keeps absolutely no logs at all, not even bandwidth data, so no activity can be tied to a user. It uses 256-bit AES encryption with perfect forward secrecy and comes with DNS leak protection, automatic wifi protection (for Android), and a kill switch. Using this service, you can choose from more than 3,300 servers in over 60 countries. With servers optimized for speed, and the ability to unblock sites like US Netflix, Hulu, HBO, BBC iPlayer, and Amazon Prime, NordVPN is ideal for streaming. Live chat support means you can get prompt answers to any queries you have. A basic plan allows you to connect up to six devices at a time, which is just above the industry standard of five. BEST BUDGET VPN:NordVPN is a great value choice. A good all-rounder that also works well with gambling websites abroad. Strong security features and accommodates up to 6 devices. Includes 30-day money back guarantee. CyberGhost is based in Romania and offers users a high level of security and privacy. Military grade 256-bit encryption and perfect forward secrecy help ensure none of your information can be accessed. A kill switch and DNS leak protection provide additional backup. This provider has a clean bill when it comes to logs and does not store any traffic data or connection logs that can be tied to an individual user. If you’re prone to using the same wifi hotspot to access betting sites, you can enable settings such that specific networks will be remembered and automatically protected. CyberGhost provides access to more than 1,200 servers in 57 countries. It offers fast speeds and enables you to unblock popular streaming sites such as US Netflix, BBC iPlayer, Amazon Prime, and Hulu. In case of questions or issues, you have access to live chat support, although it’s not quite 24/7. A basic plan allows up to five simultaneous connections. AFFORDABLE CHOICE:CyberGhost is great for beginners. Great privacy, zero logs and DNS leak protection. Good at unblocking geo-restricted content. Could do with having 24/7 live support. 45-day money back guarantee. Like the two previous providers, IPVanish boasts excellent security using 256-bit encryption and perfect forward secrecy. A built-in kill switch adds an extra layer of protection for your IP address by killing the internet connection should the VPN connection be lost. It provides DNS leak protection and doesn’t monitor any browsing activity or keep connection logs. From a performance standpoint, IPVanish offers fast speeds and a reliable connection. It boasts a network of more than 1,000 servers in over 60 countries. This provider is not ideal for streaming but is very popular with Kodi users and torrenters. Customer support is reliable and knowledgeable, although no live chat is offered. A basic plan will enable you to connect up to five devices simultaneously. UP TO 10 DEVICES:IPVanish is great for families that need multiple connections. Easy to use. Prefered by users with high standards of privacy and security. Not as many server locations as some of its rivals. 7-day money-back guarantee. Sweden-based PrivateVPN is a smaller provider than the others on the list. However, it lives up to its name and offers plenty of privacy and security features. With a strict no-logging policy, you don’t have to worry about any of your activity being tracked. It uses 128-bit or 256-bit encryption depending on which protocol you opt for. This is in addition to perfect forward secrecy, a kill switch, and DNS leak protection. One of the best things about PrivateVPN is its fast speeds, which is crucial if you want to be truly on your betting game. It also makes the service a solid option for streaming, as does its ability to unblock US Netflix, BBC iPlayer, Hulu, and more. Live chat support means your questions will be answered promptly, and you’ll have access to remote support for setup and troubleshooting. A PrivateVPN plan will enable up to five simultaneous connections. GREAT SPEEDS:PrivateVPN is consistently reliable. Speeds were surprisingly good at this end of the market. Could do with having more servers and lacks 24/7 support. 30-day money back guarantee. 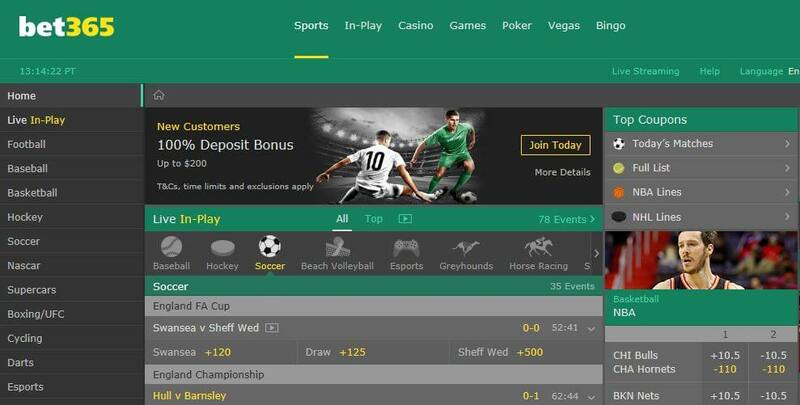 Can I use a free VPN to access betting websites abroad? When you’re browsing VPN providers, you’ll no doubt come across numerous free offerings. Many make bold claims and promises, but in reality, most are subpar products. And some are simply out to make a profit in unscrupulous ways. On the practical side of things, you’ll often find a free service gives you access to a very small network of servers, so your location choice is limited. This is no good if you absolutely need a particular location for accessing betting websites. What’s more, these services typically have too many users for their resources and you may actually have to wait for a server to become available. Clearly, this won’t do when time is of the essence and you need to place a bet. Even if you’re connected to a server, speed and reliability don’t tend to be priorities of free service providers, so there is potential for even more delays. Even if you overcome all of the practical issues associated with a free VPN, you still have to think about privacy and security. These are often jeopardized by the methods used to create a functioning business model for the service providers. Some practices involve logging user activity, using tracking cookies, carrying malware, and even selling users’ idle bandwidth. As briefly mentioned earlier, different countries have varying laws surrounding online gambling. Some, like Afghanistan and Romania, have banned it completely and governments instruct ISPs to block access to gambling websites. Others, such as Lithuania and Switzerland, require gambling sites to be licensed or approved before they can offer services in the respective countries. Some governments have no clear legislation regarding the topic and it often becomes a ‘legal gray area.’ For example, in Canada, it appears to be legal for players to place bets with offshore operators, but the legality of those operators accepting the bets is brought into question. Then you have the US where it is illegal to accept online sports bets, but not illegal to place them. So you have two levels, regional restrictions and potentially, restrictions put in place by the betting sites themselves. At the end of the day, you don’t want to land yourself in trouble with the law. Plus, you want to make sure any deposits you make and winnings you accrue are 100% legitimate so that they’re not confiscated. However, if you reside in a country where a site is blocked completely, it’s probably not a good idea to use a VPN to circumvent these laws. Indeed the same provider outlines in its terms of service that use of a VPN to hide the identification of the users’ location could result in termination of the account. This entails forfeiting account balances including deposits and winnings. So, aside from potentially having to deal with law enforcement, you risk having your account closed and losing any money in it. That would be an even worse feeling than losing a bet! This is more positive, but while VPN usage isn’t mentioned per se, it’s possible that location tampering could be against the rules. As such, it’s always a good idea to check with individual websites before investing any money (in a VPN or placing bets). In some cases, they will simply tell you it’s flat out not allowed, whereas others may okay with it. These rules may not be easy to find within the vast amount of fine print on each site, but contacting customer support should get you the answers you need. Aside from unblocking sites, a VPN will help to protect your privacy. Because the gambling and betting industries are so tightly controlled, it could be more likely that your activity is being monitored in some way. With a VPN, all data is encrypted and your ISP will be unable to snoop on your online activity. What’s more, if you’re using wifi while traveling, a VPN can secure the connection so you don’t have to worry about threats from malicious hackers. This is especially important if you’re planning on accessing and using betting websites while on-the-go. You could be unwittingly handing criminals your passwords, credit card details, and banking info. While you’re traveling, you may want to access your accounts and place bets while connected to public wifi. Due to the risks involved with unsecured and fake networks, we don’t recommend this. On the other hand, if you absolutely need to provide credentials and personal information over wifi, then you should take some basic precautions. First and foremost, connect using a VPN. Some of those on our list come with automatic wifi protection for all networks or individual ones you can specify. For others, you’ll have to start the app yourself. Make sure you do this before connecting to the network as it doesn’t take long for a hacker to steal your details. Even if you’re protected by a VPN, you should look for secure networks and stick to secure websites. You can turn off sharing settings and enable your firewall if applicable. Using common sense while browsing, such as logging out of sites once you’re finished and using strong passwords, will help you stay safe and secure. In case you’re running into issues with your favorite site, there may be alternatives out there to fit your needs. Since the rules for different sites vary, you may be able to find one that has the flexibility to enable you to place bets from where you live or are traveling to. Below are some popular sites and the countries they operate from. Bear in mind that the country of operation isn’t necessarily an indicator of where you can place bets from.